Let's cut right to the important info - We're going to be at NATS this year with a sweet pile of new releases and the full catalog of decals. 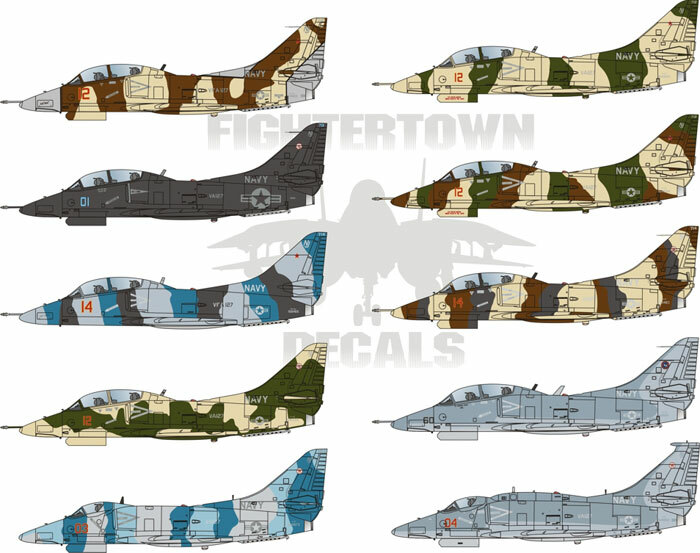 Tomcats, Hornets, Skyhawks, Rhinos, and more! A few of the sheets are nearing sold out status so if you want to get them, we highly recommend you do it early. 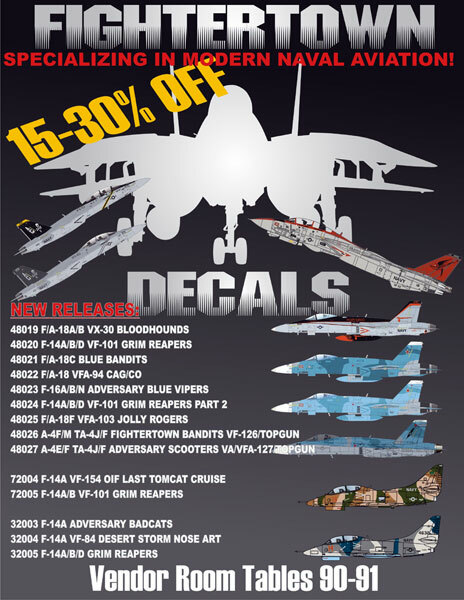 For everyone not able to make it to VA Beach, we're extending the sale to the website - www.fightertowndecals.com . Get the discounts without being at the show. Prices valid Wed Aug 6 - Sat Aug 9 only. Orders won't be shipped until 18 August but discount decals is about the coolest thing I can think of...With the exception of the Fightertown Girls at the booth Thurs and Fri! We'll be sharing a 'compound' with Afterburner Decals, Jake Melampy and Shawn Hull. Great aftermarket stuff and great guys! We're at booths 90-91. All 1/48 sheets will be $14 - I'll let you do the math on the percentages. Want to see some different kinds of models? The kind with long legs and warm smiles? Come by the booth on Thurs 1-6 and Friday 1-6 and meet the Fightertown Girls! You can't take them home with you, but picture taking is welcome. Among the sheet we're really excited about - the Adversary A-4/TA-4 Scooters are at the top of the list. The first 2 sheets cover VA/VFA-127/VF-126/Topgun and combine to provide markings for 18 out of 22 jets! 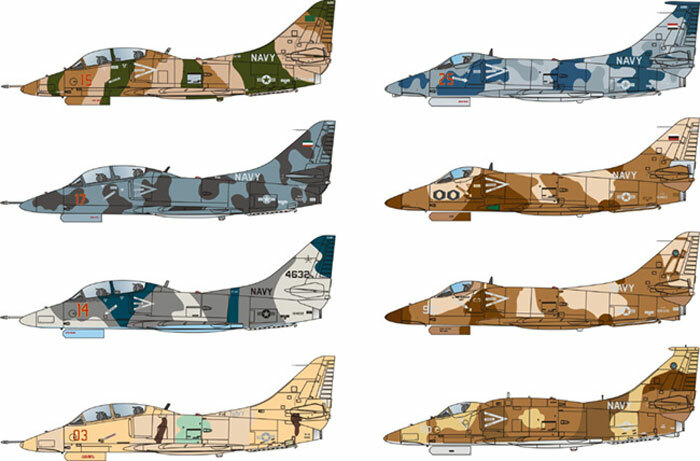 As with many of our sheet, the colors printed to match FS paints to help provide seamless color matching for your adversaries.